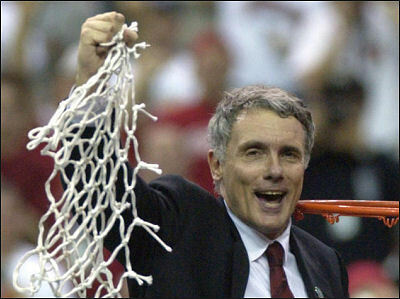 10 years ago yesterday Juan Dixon and Gary Williams cut down the nets in the Georgia Dome, celebrating the Maryland Terrapins first National Basketball Championship. 10 years ago today, my life as a fan of DMV sports teams started a 10 year run of futility that I thought I would never witness in my lifetime. 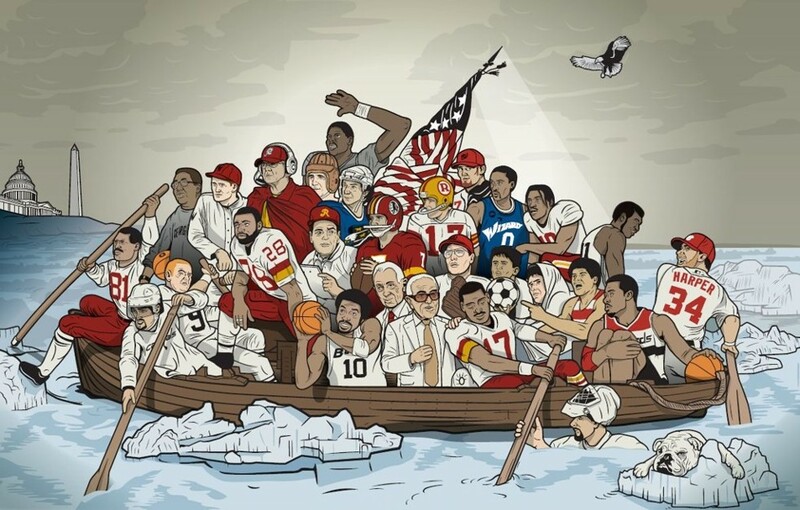 Before I dive into the depressing facts of my last 10 years as a fan of the Orioles, Redskins, Terps and Wizards…I want to acknowledge that very special 2001-2002 Terps team. Gary led a group of overachievers to a 32-4 overall record and a 15-1 ACC mark. The Terps took down basketball powerhouses Wisconsin, Kentucky, Uconn, Kansas and Indiana during the tourney on their way to the title. Guys like Lonny Baxter, Steve Blake, Byron Mouton, Drew Nicholas and Chris Wilcox all played key roles for the team. To this day…maybe forever, Juan Dixon remains my all-time favorite college basketball player. Baltimore Orioles – The Orioles are 227 games under .500 during the last 10 seasons. They’ve finished next to last or last in the AL East 9 out of those 10 years and have a 4 year streak of finishing last. The Orioles have gone thru 6 managers since 2002. The O’s have lost 930 games during the last 10 years!!! Maryland Terrapins – The football team had a nice little run from 01-03’ winning 2 bowl games and finishing in the top 20 each year. Since 2004 things have not been so good. The Terps are 46-52 and have finished below .500 in four of the last eight seasons. The basketball team did win the ACC Tournament in 2004 but since then they’ve missed the NCAA tournament in 5 out of 8 seasons and have finished in the top 20 just 2 times. Overall, Maryland athletics is the team that has let me down the least over the last 10 years. Washington Redskins – The Redskins have had just 2 winning seasons in the last 10 years. They both came under Joe Gibbs and the little runs they went on to make the playoffs those 2 seasons were enjoyable. Other than those 2 short runs and 1 playoff win, it’s pretty much been a nightmare. The Redskins are 65-95 over the last 10 seasons. The Redskins have had 4 Head Coaches during the last 10 years. Washington Wizards – The Wizards had a run where they made the playoffs 4 seasons in a row but couldn’t get over the hump and their window for success closed very rapidly. The Wizards have had 4 seasons when they have won less than 31% of their games. The Wizards have had 5 Head Coaches during the last 10 seasons and are 110 games below .500, in the last 3 years alone! To recap, my favorite teams have gone thru 19 head coaches/managers in the last 10 years. These teams have combined to have non-winning seasons 28 times during that span. I moved to Florida 8 years ago but I’ve continued to root for these teams. I’ve never once wavered in my loyalty. 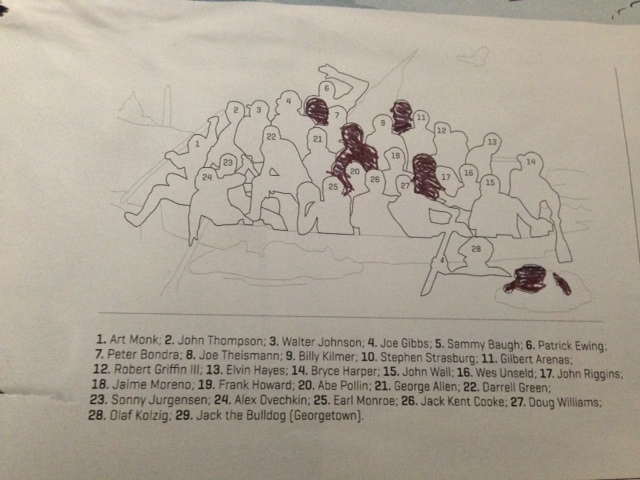 I think I’m due for a little payback…the last 10 years have been rough. 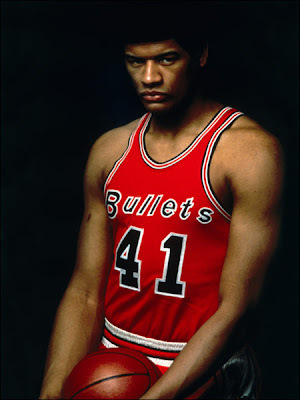 Happy birthday Wes Unseld. Wes played 13 seasons for the Bullets from 1968-1981. Wes is in the HOF and was both ROY and MVP during his rookie season of 68’. #41 was a 5 time all-star who averaged 10.8 PPG and 14.0 RPG during his career. 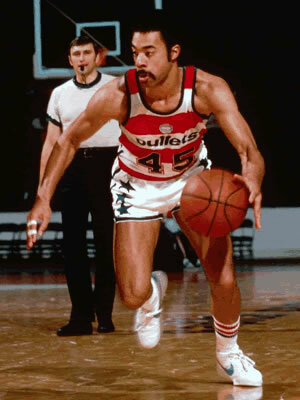 Besides being a tenacious rebounded who dominated players much taller than him, Wes was also an excellent passer and is the Bullets/Wizards all-time leader with 3,822 assists (double Gilbert.) In retirement Wes filled many roles for the Bullets/Wizards including coach and GM and spent 30+ years with the organization. Happy 64th Mr. Unseld. Happy birthday Darrell Walker. Darrell played 4 seasons for the Bullets from 1987-90. Darrell was a point guard who wore #5. 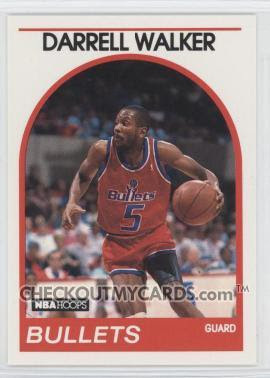 Darrell came to the Bullets (along with Mark Alarie,) from Denver in a trade for Michael Adams and Jay Vincent. Darrell appeared in 283 games as a Bullet, averaging 8.3 PPG, 6.5 RPG and 6.0 APG. His best season came in 89-90, when he nearly averaged a triple double 9.5 PPG, 8.8 RPG & 8.0 APG. In retirement Darrel worked in the Bullets front office and was briefly the head coach in 2000, going 15-23 during his brief tenure. Darrell is currently an assistant coach for the Pistons. Happy 49th Mr. Walker. 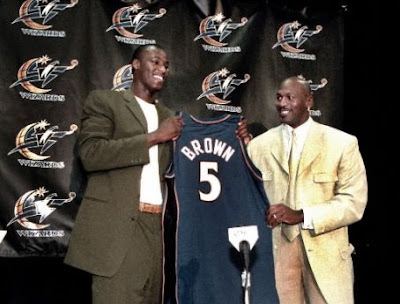 Happy birthday Kwame Brown. Kwame played 4 seasons as forward and center for the Wizards from 2001-2005. Kwame was the first high school player selected #1 overall, evidently because he played well in 1 on 1 games vs. Michael Jordan. Kwame proved to be a bust, as he averaged only 7.7 PPG and 5.5 RPG in his 253 games as a Wizard. His best season was 2003 when he averaged 10.9 & 7.4. The Wizards were able to salvage something from the KB experiment; they traded him in 2005 for Caron Butler. Kwame is still hanging on in the NBA, currently averaging 3.2 PPG for the Pistons. Happy 28th (yes he’s only 28) Mr. Brown. Happy birthday Caron Butler. Caron was recently traded to the Mavericks, interrupting his 5th season with the Wizards. Caron had a great career with the Wizards, making 2 all-star teams while averaging 19.0 PPG, 6.6 RPG & 3.5 APG. The NBA recently banned Caron from chewing on his straws during games, something he’s done for years. It’s yet to affect his game, he’s averaging 17 pts and the Mavericks have won all 12 games he’s appeared in. Happy 30th Mr. Butler. Happy birthday Charlie Brown. “Downtown” Charlie played 3 seasons for the Redskins from 1982-84. His best season came in the 83’ campaign when he made the Pro Bowl after catching 78 balls for 1,225 yards and 8TD’s. Charlie also made the Pro Bowl in his rookie season of 82’. Charlie was traded to the Falcons before the 85’ season for R.C. Thielemann. Charlie retired after 3 seasons in Atlanta and most recently was a High School football coach in Savannah, GA. Happy 51st Mr. Brown. Happy birthday Jamie Asher. Jamie played 4 seasons for the Redskins from 95-98. He appeared in 48 games during that time. Jamie’s best season came in 96’ when he caught 42 balls for 481 yards and 4TD’s. In retirement Jamie became a finance advisor for Northwest Mutual. Happy 37th Mr. Asher. Happy birthday Phil Chenier. Phil played 9 seasons for the Bullets from 1971-80. Phil averaged over 17 points per game during that time and made 3 All Star teams. Phil won a NBA title with the Bullets in 1979. In retirement, Phil has been calling Bullets/Wizards games since 1987. Happy 59th Mr. Chenier. Happy birthday John Lucas. John was an All-American at the University of Maryland and played 2 seasons with the Bullets in 81-82. In addition to being a great basketball player, John was a World Team tennis player. John battled addiction problems during his career and now counsels athletes battling the same demons. John is also an assistant coach for the Clippers. Happy 56th Mr. Lucas. Happy birthday Luis Matos. 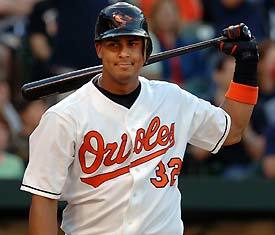 Luis played 7 season for the Orioles from 2000-06’. He hit .256 during that time and stole 72 bases. His best season came in 2003 when he hit .303-13-45 and added 15 stolen bases. In recent years Luis has bounced around the minors and the Mexican League. Happy 31st Mr. Matos. 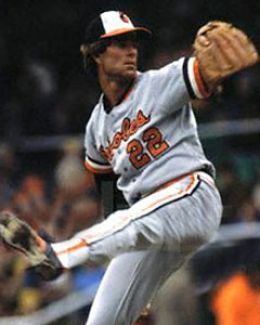 Jim Palmer turned 64 on Oct. 15. Jim won 193 games and had 179 complete games during a 10 year period from 1969-78. 179 complete games in ten years! Are you kidding me? For his career Jim won 268 games and had a career ERA of 2.86 during his 23 season career with the O’s…and he worked the jockey shorts too! Ken Dixon turned 49 on Oct 17. Ken pitched in 105 games for the Orioles over the 3 seasons from 1984-87, winning 26 games with 6 saves. Alan Mills turned 43 on Oct 18. Alan pitched 9 seasons for the Orioles from 1992-01. Alan pitched in 346 games for the O’s…good for 9th all-time. Alan also instructed Fatpickle on pitching techniques back in 1988…true story. Arthur Rhodes turned 40 on Oct 24. Arthur played parts of 9 seasons with the Orioles from 1991-1999. He was a 2nd round draft pick who won 43 games and saved 9 during his time in Baltimore. Dave Johnson turned 50 on Oct. 24. Dave was part of the O’s 89’ “why not” team. He won 21 games over 3 seasons and works in TV doing O’s games. Jason Johnson turned 36 on Oct 27. Jason played 5 seasons for the Orioles from 1999-2003. He won 34 and lost 53 games during his tenure. Ouch! Oh yeah, he was the #1 starter for most of that time. Ouch! Bob Melvin turned 48 on Oct 28. Before becoming a MLB manager, Bob was a part time catcher for the O’s for 3 seasons. He hit .244 with 7HR’s and 92RBI’s during those years. Manute Bol turned 47 on Oct. 16. Manute played 5 seasons with the Bullets and led the league with 5 blocks per game during the 1985-86 season. Manute was tall. John “Hot Plate” Williams turned 43 on Oct 26. John played 5 seasons for the Bullets from 86-91 and played very well…before the buffet took a hold of him. Marcus Washington turned 32 on Oct 17. 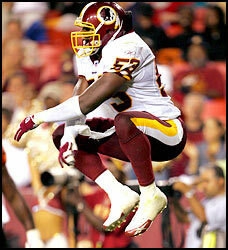 Marcus played 5 seasons with the Redskins and totaled 380 tackles and 19.5 sacks during his tenure. Marcus is also rumored to be Cletus…the Fox Sports NFL dancing robot. Reggie Branch turned 47 on Oct 22. 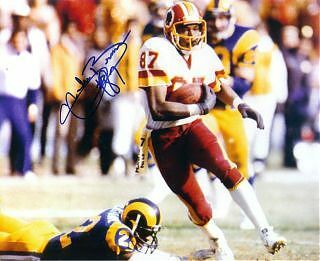 Reggie played 5 seasons for the Redskins as a special teams standout. Rod Gardner turned 32 on Oct 26. Rod played all 64 games during his 4 year career in Washington. He caught 227 balls and had 23TD’s. Keith Griffin turned 48 on Oct 26. Keith was a 10th round draft pick who lasted 5 seasons in Washington from 1984-88. He was a special teams standout and 3rd down back. Antonio Pierce turned 31 on Oct 26. Antonio played 4 seasons in DC before signing with the Giants. I now despise him. Gilbert’s back and so am I! Gilbert returned after several operations and a couple lost seasons…I’m returning after a long weekend in VA and several cases of beer. The Wizards beat the Mavericks in Dallas last night in impressive fashion to start the 2009-10 season. Gilbert looked like his old self, driving thru the lane and drawing contact. Pulling up for open jumpers…and a super fast first step that got him around defenders all night long. All that amounted to 29 points and 9 assists! After several failed comeback attempts over the last 2 years, it appears Arenas is finally healthy. Arenas initially wanted to rehab his knee at his own pace with his own regimen. His personal choice for rehabbing his knee included riding his bike to a football field where he ran 40 yard dashes with a parachute strapped to his bank…weeks after one of his surgeries. Later he would bash the organization for them allowing Gilbert to push himself too fast…I guess they should have hired him a babysitter. But, that appears to be in the past and I’m glad to see my favorite NBA player healthy and back on the court. And although it’s only the first game and maybe I’m just looking for something to be optimistic about with my Redskins playing so poorly…I think the Wizards can be a top 4 or 5 team in the East. Flip Saunders unveiled his rotation last night and it varied quite a bit from what we have seen in the past. Nick Young got a DNP-Coach’s Decision last night after playing in all 82 games last year and averaging over 22 minutes. Mike James also received a DNP and Javale McGee played less than a minute. Their replacements (Oberto, Miller & Foye) were 12-20 from the floor and 3-6 from 3 point land. Deshawn Stevenson played only 17 minutes (that’s a good thing) specifically in a defensive role…perfect. And if Andray Blanche is anything close to what he was last night (20pts 7rebs) that will be a tremendous boost for the Wizards.